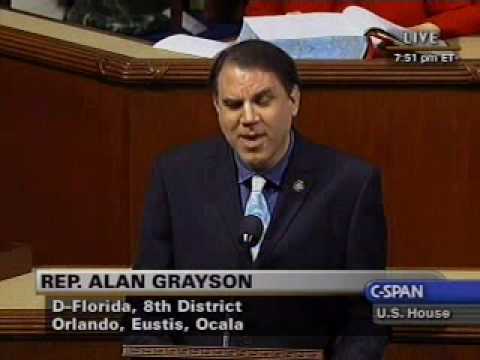 Rep. Alan Grayson: The Bush administration didn’t start any wars by mistake except Iraq, no cities drowned under Bush-Cheney except New Orleans . . .